The Aries Pro Series grille guard is unlike any other grille guard or brush guard on the road today because of its patented center crossbar. 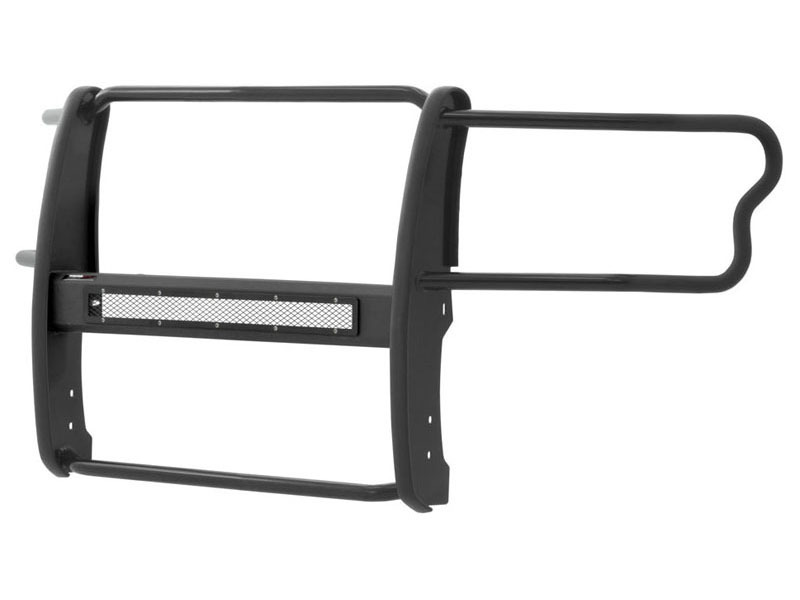 Other than the fact that it features a solid one-piece build, a tough powder coat finish and a vehicle-specific design, the Aries Pro Series grille guard has a unique center crossbar that houses an LED light bar, allowing you to truly set your truck apart from all others. Rather than using a set of light clips or forcing you to drill holes into the frame, the aerodynamic crossbar of the Pro Series grille guard is the light bar housing itself. It uses a 30 inch slotted channel bracket to mount the included 30 inch LED light bar #1501264. 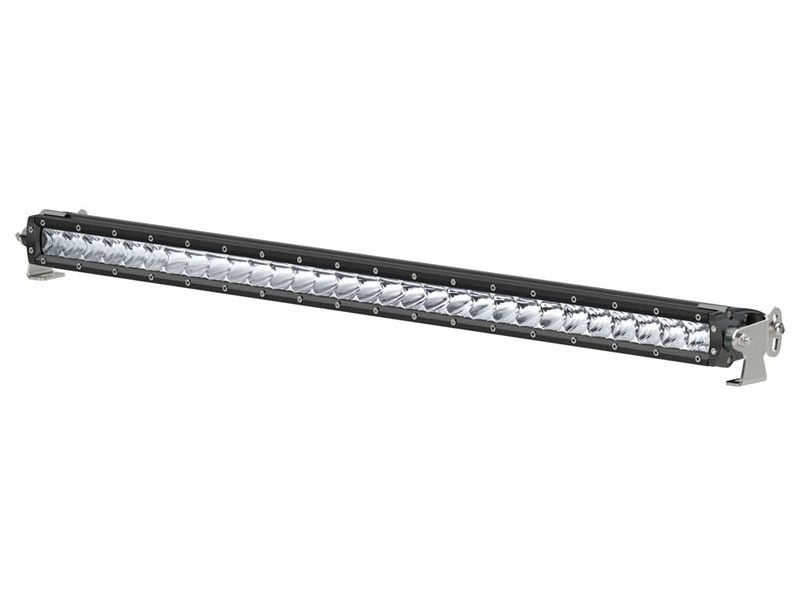 The bracket can also accept other single-row light bars (some 30 inch light bars may not fit). The crossbar mount can also articulate, allowing you to position the light beam at any angle you prefer. Integrating the channel mount into the crossbar housing also keeps the light bar protected from the elements. To further stylize your truck, the Pro Series grille guard also comes with an interchangeable grille guard cover plate. Included with each grille guard is a black mesh cover plate that easily bolts on and provides added security for your aftermarket lights. The mesh cover plate can be swapped out with other cover plate options, including five different styles and two finishes. Solid construction should be an essential feature of any grille guard, and the Pro Series grille guard is more than qualified. It has a one-piece design of 1/4 inch thick welded plates and 1 1/2 inch mandrel-bent carbon steel tubing. We also finish each Pro Series grille guard in a highly durable textured black powder coat, giving it resilience to rust and scratches. This unique finish also helps hide minor scratches and grime to maintain a clean look. Aries Pro Series grille guards are made vehicle-specific for seamlessly integration with the factory bumper and an easy, no-drill installation.